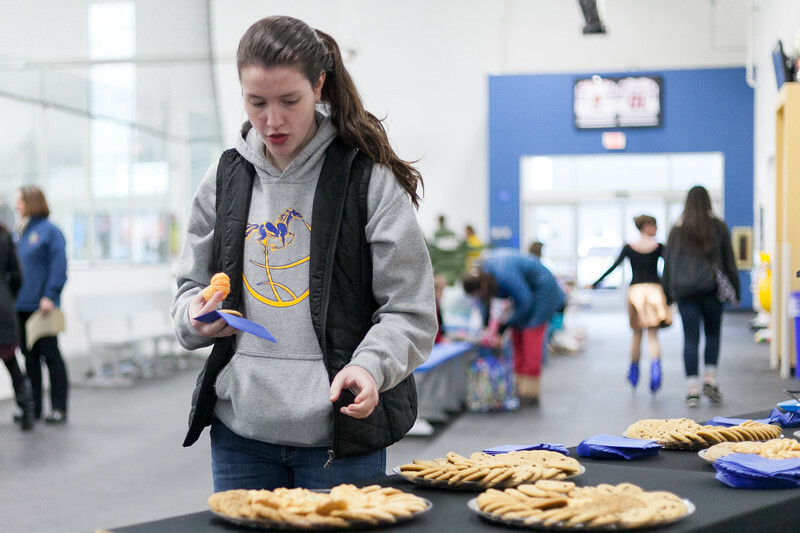 12-year-old Nora Butler grabs a cookie at the refreshment table during the Sheridan Ice's 9th Annual Ice Show at Whitney Rink at M&M's Center Tuesday, March 27, 2018. 10-year-old Genavieve Thums gets her hair done by her mom Christal before the Sheridan Ice's 9th Annual Ice Show at Whitney Rink at M&M's Center Tuesday, March 27, 2018. 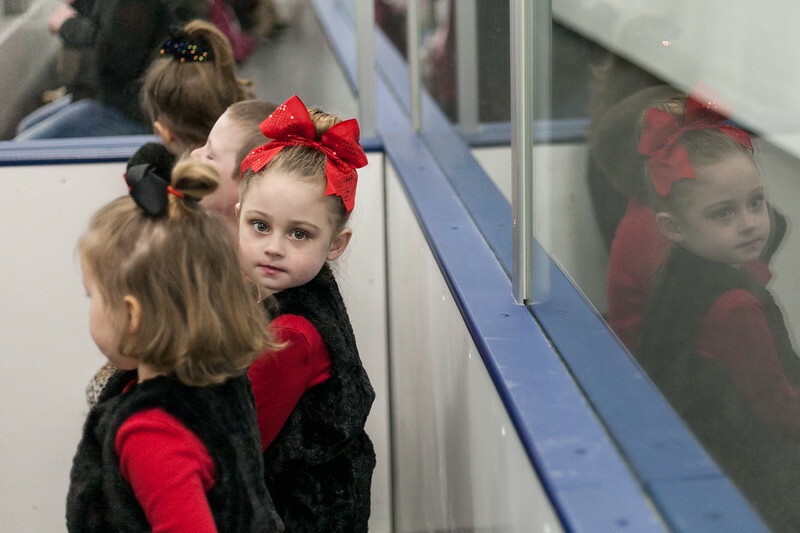 4-year-old Paisley Brinkerhoff peeks around a fellow skater before the Sheridan Ice's 9th Annual Ice Show at Whitney Rink at M&M's Center Tuesday, March 27, 2018. 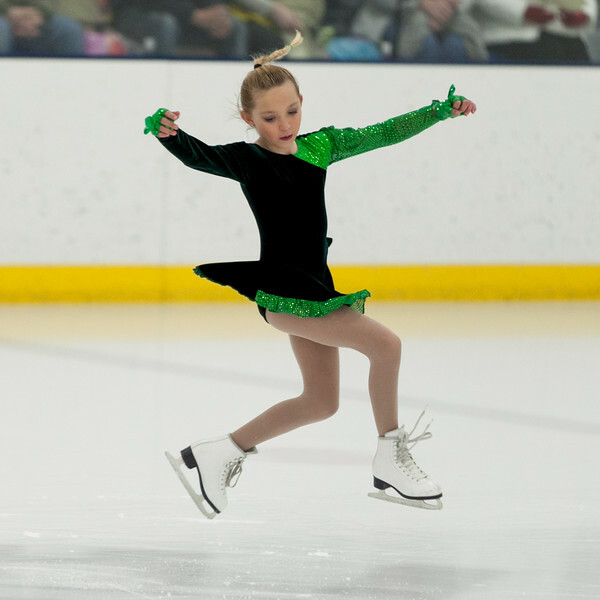 Marra Donahue skates to "Jig" during the Sheridan Ice's 9th Annual Ice Show at Whitney Rink at M&M's Center Tuesday, March 27, 2018. 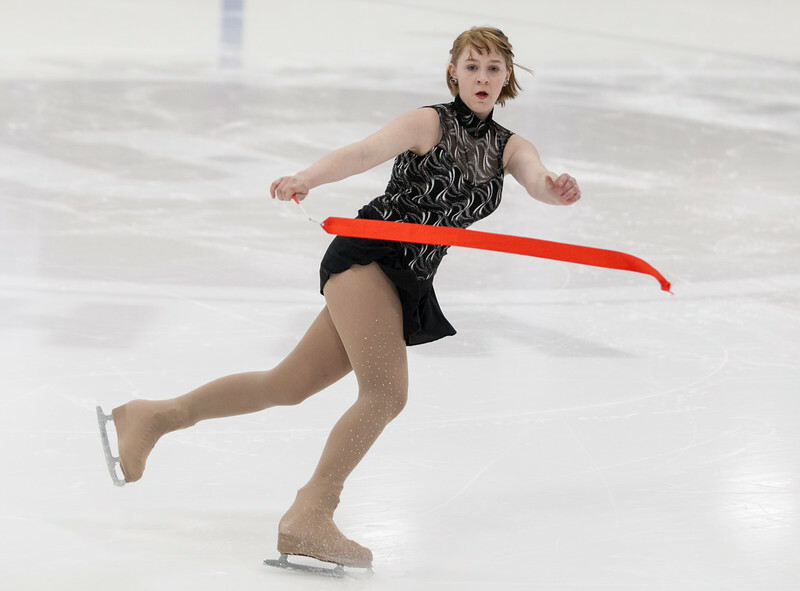 Kairstyn Holden performs a spin while performing to "What a Wonderful World" during the Sheridan Ice's 9th Annual Ice Show at Whitney Rink at M&M's Center Tuesday, March 27, 2018. 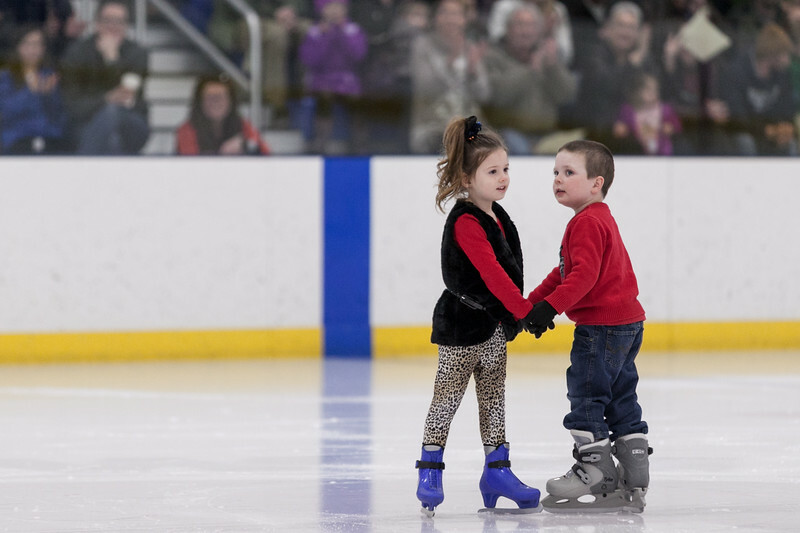 Ione Crawford, left, and Lucas Tracy clasp hands while performing with their group to "Moose Mambo" during the Sheridan Ice's 9th Annual Ice Show at Whitney Rink at M&M's Center Tuesday, March 27, 2018. 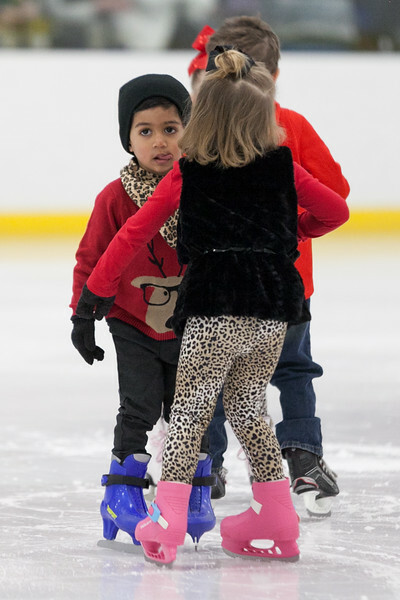 3-year-old Viaan Kerkar sticks his tongue out in concentration while performing "Moose Mambo" during the Sheridan Ice's 9th Annual Ice Show at Whitney Rink at M&M's Center Tuesday, March 27, 2018. Genavieve Thums, left, had a guest performance with her dad Gabe while performing to "Jailhouse Rock" during the Sheridan Ice's 9th Annual Ice Show at Whitney Rink at M&M's Center Tuesday, March 27, 2018. Genavieve Thums gets carried off the ice by her dad Gabe at the end of her performance to "Jailhouse Rock" during the Sheridan Ice's 9th Annual Ice Show at Whitney Rink at M&M's Center Tuesday, March 27, 2018. Anastasia Beutler performs to "Game of Thrones" during the Sheridan Ice's 9th Annual Ice Show at Whitney Rink at M&M's Center Tuesday, March 27, 2018. 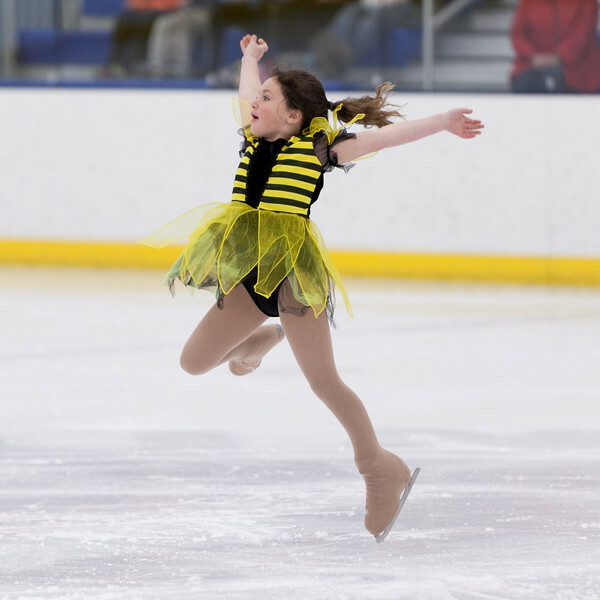 Madelynn Mendenhall glides across the ice to "Pirates" during the Sheridan Ice's 9th Annual Ice Show at Whitney Rink at M&M's Center Tuesday, March 27, 2018. 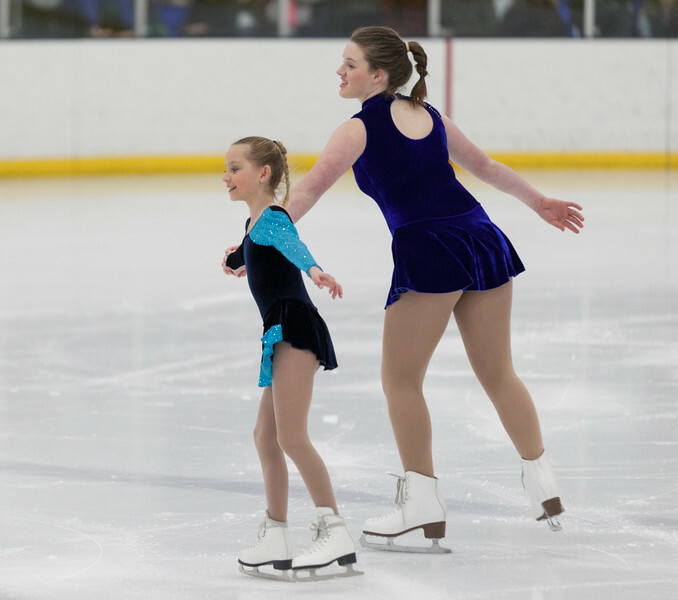 Marra Donahue, left, and Gennah Deutscher perform a duet to "Sisters" during the Sheridan Ice's 9th Annual Ice Show at Whitney Rink at M&M's Center Tuesday, March 27, 2018. 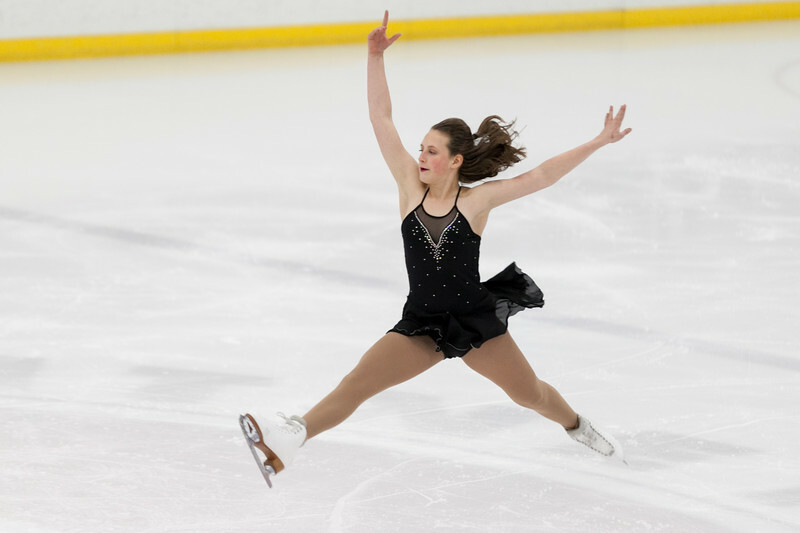 Khloe Thomas leaps while skating to the song "Walkin' on Sunshine" during the Sheridan Ice's 9th Annual Ice Show at Whitney Rink at M&M's Center Tuesday, March 27, 2018. 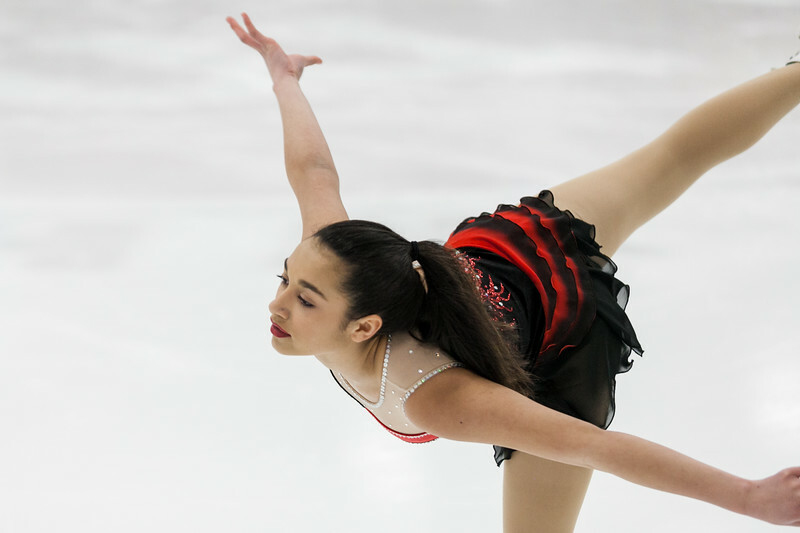 Maggie Pierce performs to "La La Land" during the Sheridan Ice's 9th Annual Ice Show at Whitney Rink at M&M's Center Tuesday, March 27, 2018. 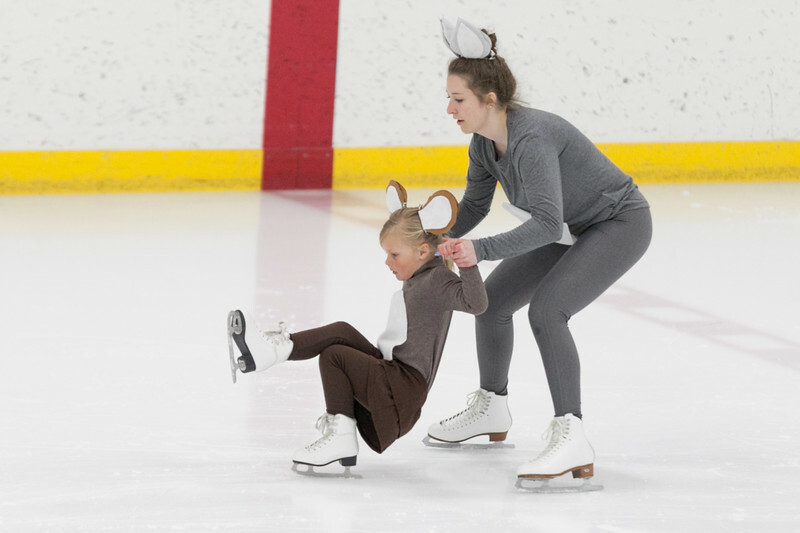 Kairstyn Holden, right, holds up Charlotte Martineau while performing a duet to "Tom and Jerry" during the Sheridan Ice's 9th Annual Ice Show at Whitney Rink at M&M's Center Tuesday, March 27, 2018. Genavieve Thums shows some attitude while performing to a 90's medley during the Sheridan Ice's 9th Annual Ice Show at Whitney Rink at M&M's Center Tuesday, March 27, 2018. 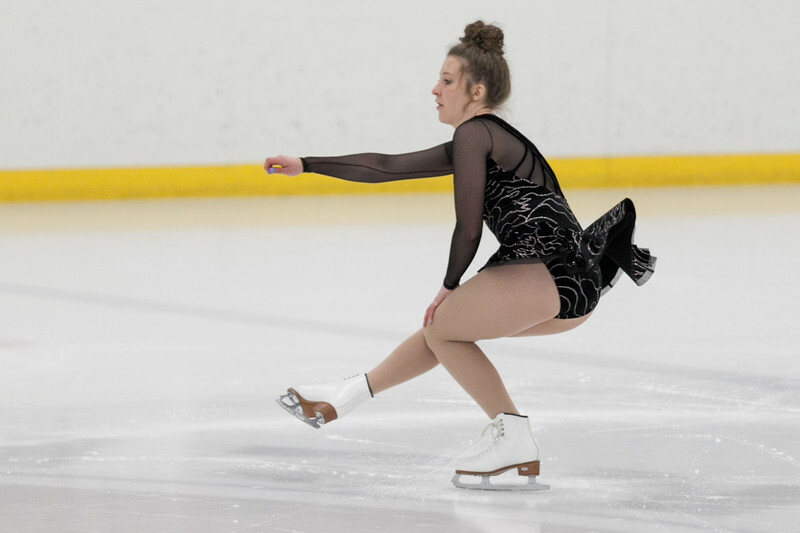 Deanna Sadrieva perfoms a spin in her "Swing" performance during the Sheridan Ice's 9th Annual Ice Show at Whitney Rink at M&M's Center Tuesday, March 27, 2018. Marra Donahue does a spin while performing to "Hey Mickey" during the Sheridan Ice's 9th Annual Ice Show at Whitney Rink at M&M's Center Tuesday, March 27, 2018. 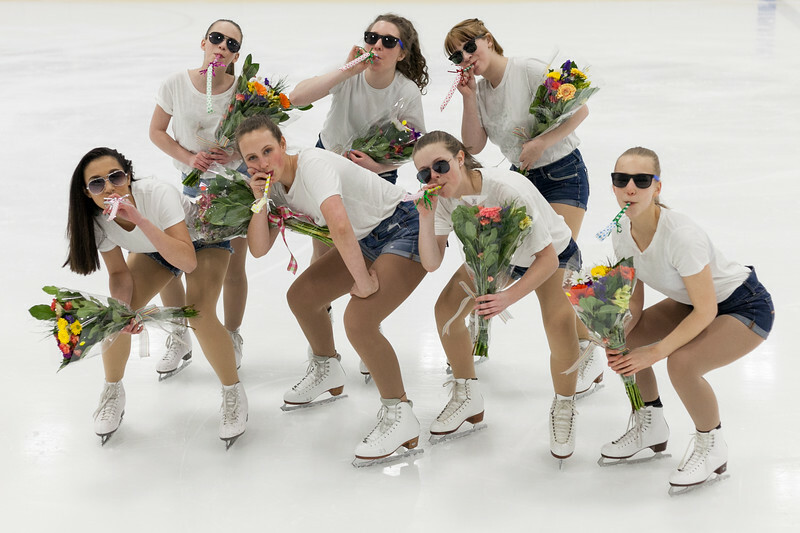 Figure skaters strike a pose after performing "Uptown Funk" during the Sheridan Ice's 9th Annual Ice Show at Whitney Rink at M&M's Center Tuesday, March 27, 2018.